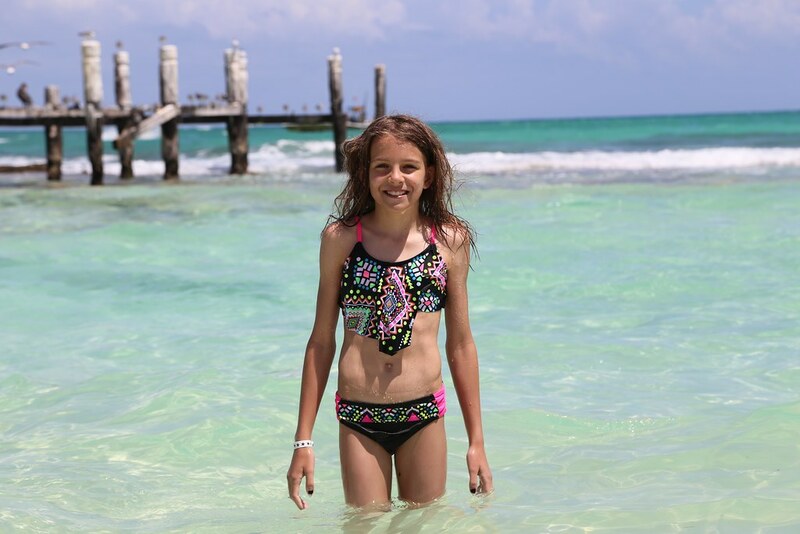 We figured it was time for a return to Mexico after a long hiatus. Sydney visited this place in 2006 and there are lots of blog posts and pictures of a mini-Sydney enjoying the resort and parks we visited. Of course, she didn’t really remember any of it but it is still fun to take her there and reminisce about how it was before. I couldn’t keep my kids out of the pool if I tried. 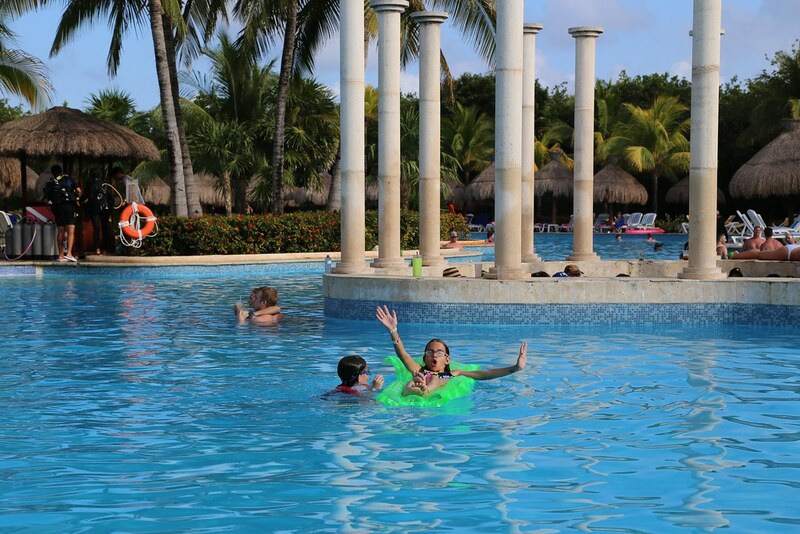 Floating and playing through the probably mile long winding pool at the resort. They even figured out how to go up to the bar and order a virgin daiquiri. 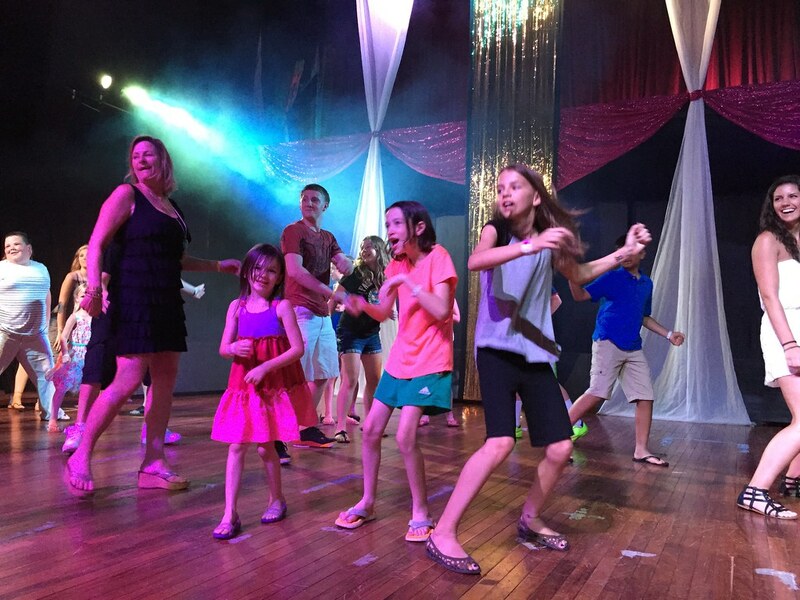 Every night Sydney would go to the dance party and show off her moves. 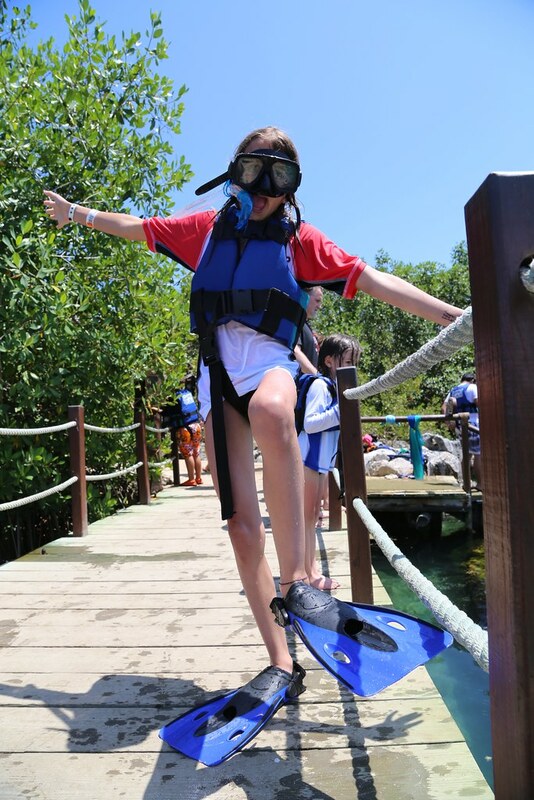 Sydney’s big treat was doing an undersea walk at Xel-Ha. They put this 70 pound mask on your head as you go underwater. 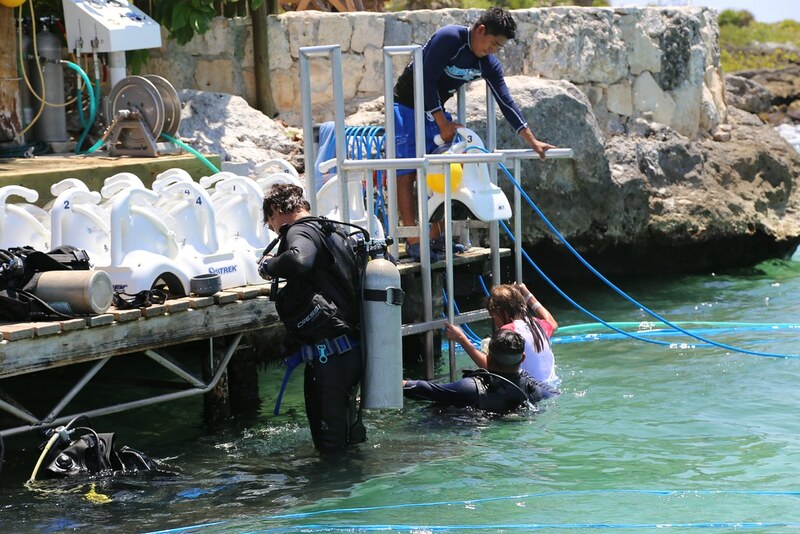 Then they pump air into it like you were scuba diving. You walk along the bottom of the ocean and see all the sea life. She had a big stingray come and eat out of her hand. I didn’t see it because I was safely up on the shore. But she was really calm and thought it was cool. She said she was a duck. How do you feel about going home? 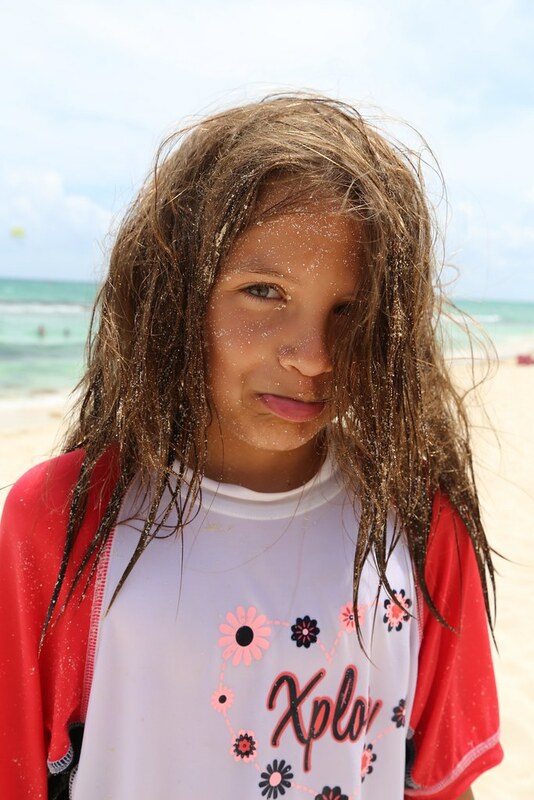 This was taken after she got pummeled riding some waves. Hair full of sand.